Since its introduction in 2014, carbon TPT has been a renowned part of the Richard Mille offering. Prized for wood-like tactility and protective qualities which eclipse that of titanium, it’s easy to see why the proprietary material figures so largely in already impressive watches like the RM 67-02. Now, Richard Mille are once again testing the limits of this innovative composite material, immersing it in the world of female athletics, on the wrists of two world-famous personalities — Nafi Thiam and Yuliya Levchenko. Already a signature element of the Richard Mille design language, Carbon TPT reveals svelte contours in the form of the RM 07-01 Ladies Automatic. 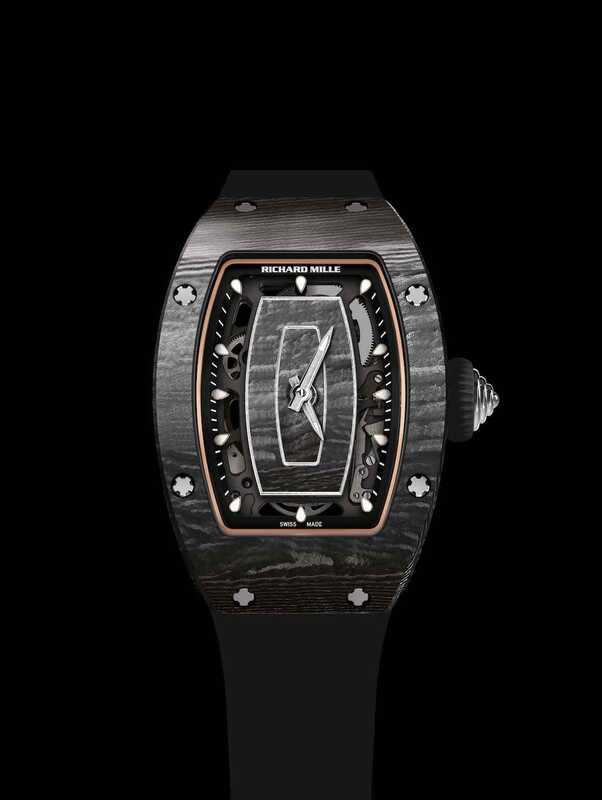 To address the challenge of decorating composite materials like Carbon TPT, Richard Mille commissioned various CNC machines for that exclusive purpose. Originally developed by North Thin Ply Technology, Carbon TPT is a material which Richard Mille have always championed for high-performance situations. 600 layers of compressed carbon fibres ensure the final product (e.g. cases for the new RM 07-01 Automatic Ladies) demonstrates ethereal lightness and is uniquely scratch resilient. 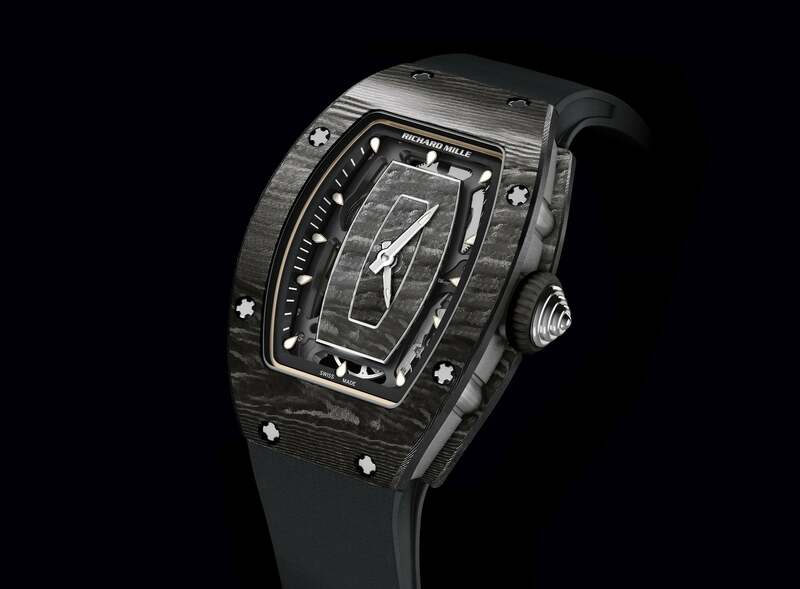 Such physical properties are hard-won: resulting from Richard Mille’s use of painstakingly calibrated CNC machines — the only device capable of bending carbon to a watchmaker’s will. Naturally, given the lightness, precision and inclusion of the calibre CRMA2, Richard Mille were keen to put the RM 07-01 Carbon TPTs to the test; enlisting two athletes who are perfect for the job. A gold medallist at the 2016 Rio Olympics, Thiam specialises in the combined track & field sport of Heptathlon. The 23-year old Belgian began her career in 2013, and came to international prominence when she was voted the IAAF’s rising star just three years later. Intent on securing gold at this year’s European Championships in Berlin, Thiam is a natural fit for the Richard Mille brand; sharing the latter’s dedication to pushing the envelope time and time again. “What enticed me to work with [Thiam]” says Mille, “was her approach to performance. I endorse the idea that it is most important to look for ways to surpass yourself in order to become the best and accept the time that this might take”. A proponent of lightweight automatic sport watches, Thiam’s exploits regularly expose her to a multitude of kinetic forces: for events like the javelin, upper body strength is pivotal; and with the RM 07-01 (which also incorporates titanium in its caseband for extra durability) on the wrist, she’s unlikely to ever lose her edge. A tireless competitor in the high jump discipline since the age of 17, Levchenko’s horological weapon of choice is the RM 07-01 Automatic Ladies. Capable of jumping a record-shattering 2.01 metres, it’s little wonder that Yuliya Levchenko is currently ranked No. 2 in the world for high jump. Since her rapid ascent to international prominence at the 2015 Youth Olympics, the Ukrainian athlete has gone from strength to strength — most recently winning two silver medals at the 2017 World Athletics Championship. Having achieved a feat that it takes many female high jumpers 15 years to master, Levchenko was convinced to partner with Richard Mille due to the latter’s technical and highly purposive approach to watchmaking. “I used to think of watches mostly as fashion accessories” says Levchenko. One imagines that with a timepiece like the RM 07-01 accompanying her to future competitions, it won’t be long before Levchenko is a certified horology expert. A dedicated sportswoman since her early years, Levchenko was crowned the top female athlete in her native Ukraine in 2017. On-track, she favours the RM 07-01 for its blend of function and reliability. 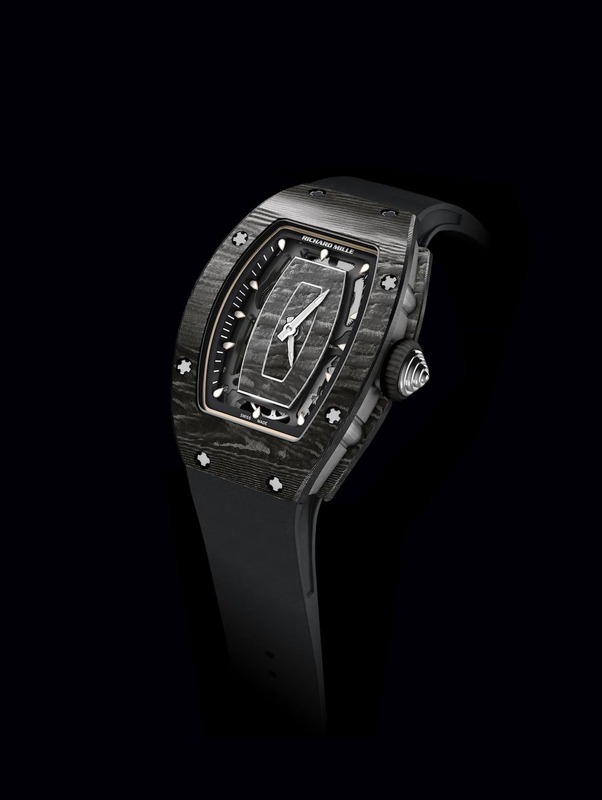 The Richard Mille RM 07-01 Ladies Automatic Carbon TPT is now available, priced at HK$560,000. For more information, visit Richard Mille online.